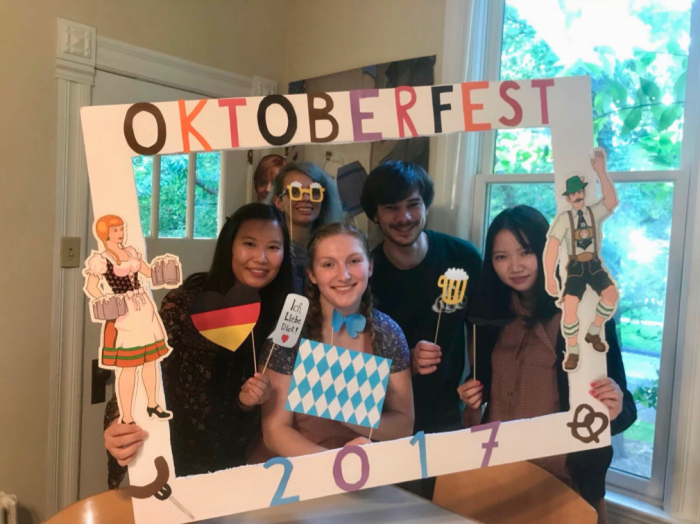 This past weekend, students at Whitman had the chance to meet a live cow, make piñatas, celebrate the Mid-Autumn Festival with mochi and mooncakes, and enjoy pretzels and root beer at Oktoberfest. Sound strange? 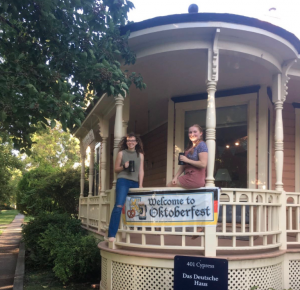 It’s all part of a typical weekend in Whitman’s Interest House Community! don’t how to begin, the C.O.W.S. is an excellent place to start!) 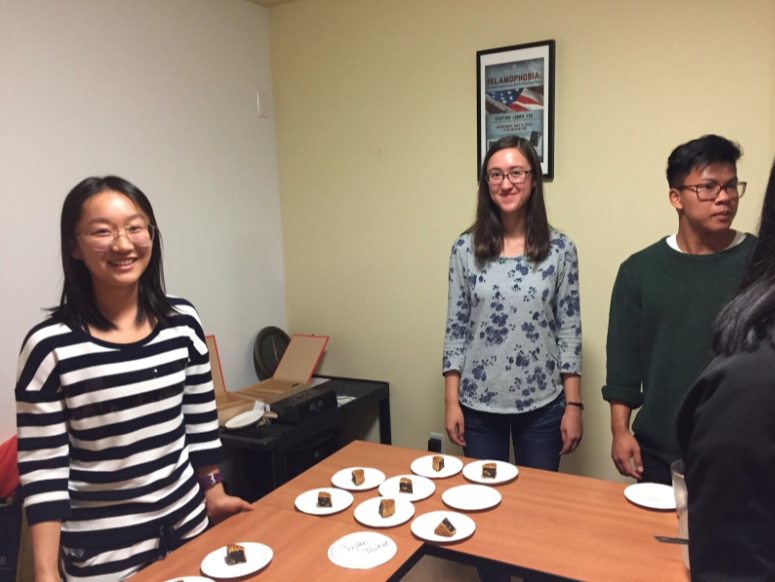 The event featured information about the C.O.W.S., several dairy-themed snacks, and, of course, the cow itself! 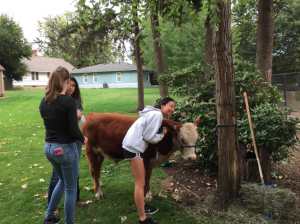 Students had the chance to pet and take plenty of pics with the cute little calf. pretzels, Apfelkuchen, and a special cheese spread. 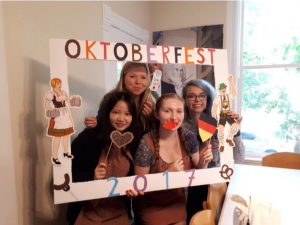 Guests who came through also had a chance to take pictures at our “Oktoberfest photo booth,” complete with a decorated frame and lots of accessories! Overall, it was a very fun afternoon, and I loved being able to share this German tradition with so many people! 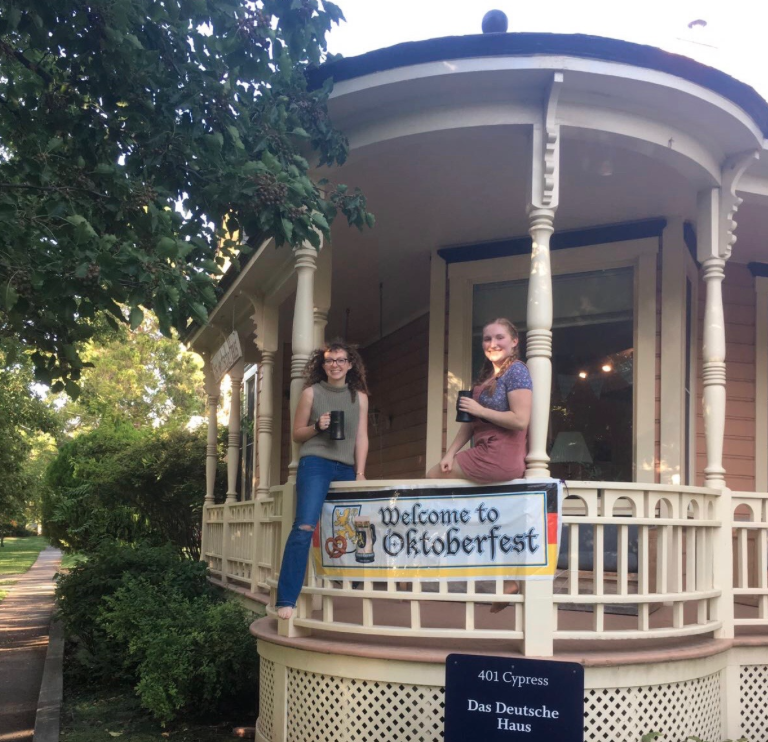 Unlike the other events of the weekend, this one was actually a collaboration between two houses, the Tekisuijuku (Japanese House) and the Asian Studies House, along with the China @ Whitman Club. The program celebrated the traditional Mid-Autumn Festival, which is held in several Asian countries, and lots of delicious food was served,including mooncakes, mochi, and milk tea! 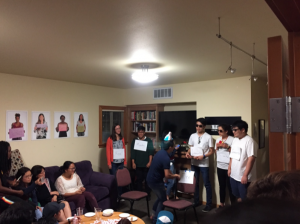 After everyone had a chance to grab some food, members of both houses got together to put on a skit based on an old Chinese legend, and guests then had the chance to play some traditional board games. If the Interest House Community looks interesting to you, you can read more here.